Visions of Jesus Christ.com - Filomena Carnevale - Stigmatist. 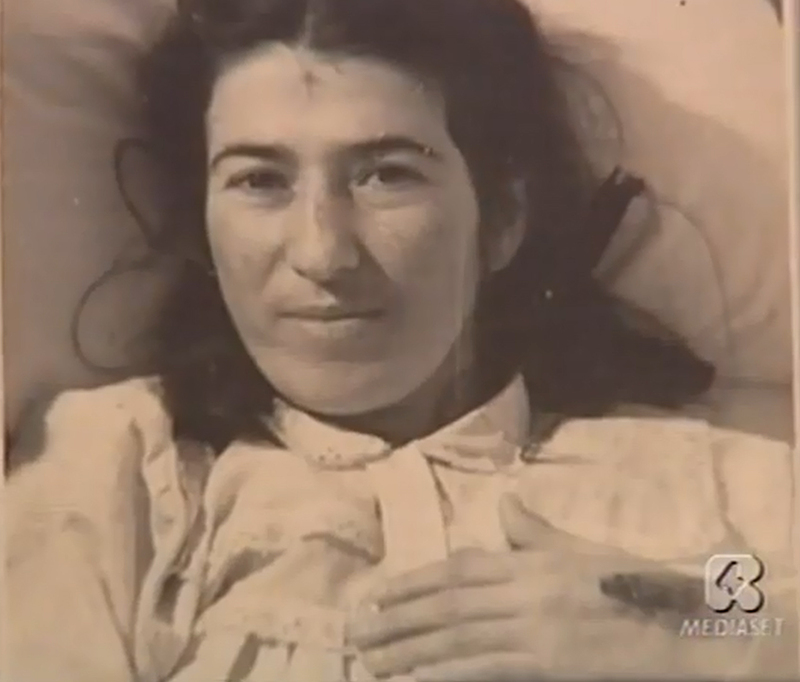 Above image is of Filomena Carnevale with visible stigmata. [Read/view] interview with granddaughter of direct Filomena Carnival, the daughter of a sister, and met her personally, saw the stigmata and touched them. In Abruzzo few people know the story of her "Aunt Mea" ​​as the family calls her. Reported [here]. From the [Dictionary] of the Apparitions of the Virgin Mary (R. Laurentin) - From 1938/1939 until her death, a stigmatic shepherdess, the daughter of poor peasants, Philomena Carnival (1926-1959), claimed to see the Virgin and receive messages. Her gifts were numerous: rapture, prophecy, reading of souls . On March 23, 1956 the bishop of the diocese initiated an investigation and medical canon: the outcome was positive. After the death of Philomena, many pilgrims came to pray at her tomb. On June 2, 1969 a the Fraternity of the Father was founded according to her wishes and with the approval of bishops. This opened an information process to introduce her cause of beatification. San Vincenzo Valle di Rovereto is celebrating the 50 anniversary of the death of Philomena Carnevale, the young woman who 54 years ago received the gift of the stigmata. The commemoration began on the 14th with a torchlight procession and culminated with a conference on the 17th, the date of death of the young Rovetana, with a celebration of the bishop of the diocese of Sora has been delivered in the municipality of San Vincenzo, at the house where Philomena Carnival lived. Mea, as she is ffectionately called, was born in San Vincenzo Valle Bush on April 11, 1929 to a humble family, her father Antonio manufactured fireworks, while the mother Rosaria was a housewife. In eight years, little Mea, unable to continue going to school, began to lead the sheep to pasture until the economic hardship forced her to go to work in Rome, at the service of a family. During her early twenties when health problems forced to be in and out of different hospitals in the capital first and then Sora and, after being diagnosed with an incurable heart disease, she returned permanently to her native country. It was at this time in her short life that Filomena received a mysterious gift. Wounds appeared on the hands, feet, chest and even on the right shoulder. This plague according to her confessors was one of the most painful for her and re-proposed the wound of the cross that Jesus bore on Calvary. Philomena Carnevale died in San Vincenzo Valle Bush March 17, 1959, just 30 years of age. It's been 50 years yet the echo of her words is still a clear comfort to those who come to see her.